Co-cars works with businesses across the South West to provide smart, zero/low emission mobility-on-demand solutions for a fraction of the cost of owning or leasing. Customers can benefit from big savings on business travel, pool cars and parking spaces. Current transport habits are expensive, polluting and create congestion yet many private and company cars are used as little as 3% of the time. We believe there is a better way: on-demand sustainable mobility for all. This not only significantly reduces the cost of travel for businesses and households but also helps to reduce congestion and pollution. With us – unlike a private, pool or hire car – you only pay for what you use i.e. an hourly rate plus mileage, nothing else. We cover every other cost including fuel. Our fleet consists of on-street electric and hybrid cars and electric bikes, all bookable 24/7 using smartphone technology and available to hire by the hour or day. Hire costs are from £3.75/ hour (cars) and £1/half-hour (bikes). We consistently score highly on our customer service with a dedicated team always on hand to help. We are already in town centres and outside GWR train stations in Cornwall, Devon, Dorset and Wiltshire, as well as a network of bike hubs across Exeter. In the short-term, we want to grow our Cornish network. 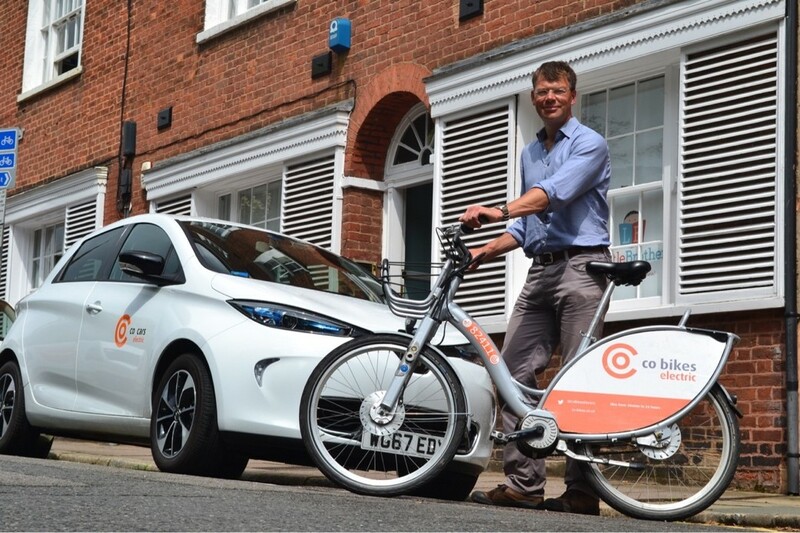 Currently, we have cars in both Truro and Falmouth and we want to deliver electric cars and bikes to new on-street, business and housing development locations. Longer-term, we aim to deliver App driven on-demand zero emission mobility as service across Cornwall integrating with other forms of transport such as bus and train networks in cities and towns. By getting the South West to join the electric revolution! Adoption of our network of bikes and cars by businesses and households really is a win-win scenario: our customers save the expense and hassle of vehicle ownership whilst also contributing to a less congested and polluted environment. What’s not to like?